Abreva vs. Orajel: Which is the Best Cold Sore Treatment? 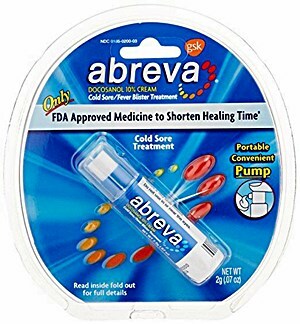 What Works Better Than Abreva for Cold Sores? What is the Virulite Cold Sore Device? Where Do Cold Sores Appear? Which Cold Sore Treatment is the Best to Buy? So, you’re looking for the best cold sore treatment – but you’re unsure what to buy. It’s only natural because there are dozens of products that you could pick up today. You no longer have to go to the pharmacy for the best treatment for cold sores on the mouth, lips, nose, cheeks, and chin. Today, we’re going to take a look at two of the best cold sore creams: Abreva and Orajel Cold Sore Treatment. These two are popular brands that you can pick up at any drug store or online retailer. But when you’re choosing between them, which one do you pick? Both have great reviews, and both are about the same price – so what’s to choose between them? Well, the two products have different active ingredients, and some different side effects. You can also find them for different prices, depending on where you choose to shop. So, without any further ado, let’s choose between Orajel or Abreva for cold sores. Abreva is the trade name of Avanir Pharmaceuticals’ cold sore treatment, which uses the chemical Docosanol to work. It comes in the form of a smooth, odorless white cream, which dries clear. You can buy it in a tube or a pump, and both use the same formula. Abreva’s main claim is that it can help to heal a cold sore in just 2 ½ days. According to the Abreva website, it does this by penetrating deep into the skin and blocking the virus. Healthy cells are therefore protected from the cold sore infection. The application is as easy as rubbing the cream in, completely covering the area. It’s recommended for use as soon as you notice the first sign of a cold sore developing. For best results, the cream is supposed to be applied 5 times a day. Abreva is based on the active ingredient Docosanol, a chemical also known as behenyl alcohol. If you don’t know what that means, it’s a saturated fatty alcohol used as an emollient and emulsifier. If you don’t know what that means, all you need to know is that it’s an antiviral chemical that can defeat cold sores caused by the herpes simplex virus. Docosanol might stop the herpes virus from entering cells, and thereby be reproducing itself, as viruses operate. We say might, because that’s only the theory – nobody is exactly sure how it works yet. Clinical trials for Docosanol are unclear on its beneficial effects: some show that it works, others don’t. Docosanol is the only active ingredient in Abreva. Its main objective is to shorten the healing time and the duration of the cold sore symptoms. Abreva is not designed to provide temporary relief from symptoms such as pain or itching. There are hundreds of reviews for Abreva out there on the internet, and they’re consistently good reviews, too. According to the reviews, we managed to find, Abreva does the job consistently and effectively. Reading through the reviews, it’s good to see the number of people happy to treat cold sores faster. The positive reviews all say similar things: Abreva will get rid of cold sores quickly and minimizes pain. Some customers seem to be happiest about being able to eat again, and others recommend it for parents. One happy customer laments the fact that they never found Abreva when they were younger and suffered breakout after breakout. Abreva’s knack of tackling big outbreaks seems to have endeared it to legions of customers. That being said, there are a number of poor reviews, most of which say that Abreva simply doesn’t work. Some of these reviews say that customers have tried using Abreva again and again, to no avail. Some also complain that Abreva is overpriced, especially compared to other over-the-counter cold sore medicines. What’s Our Verdict on Abreva? Abreva, or more specifically Docosanol, does have some limited side effects. The main side effects are headaches, although these tend to be mild, so don’t pose a real problem. It can also cause skin irritation, which ranges from mild to moderate but doesn’t require any further treatment. Some more serious side effects can occur, although these are very rare, and probably won’t affect you. These range from allergic reactions to the drug, which can cause hives and dizziness, acne, burning, and diarrhea. Nevertheless, these side effects are less common and less severe than you can encounter with other treatments. Abreva isn’t perfect, but the reviews do indicate that it does what it says it does. That’s the most important thing – give it a go and if it doesn’t cause any side effects, great. Check the Latest Price of Abreva on Amazon! Orajel specializes in manufacturing the fastest-working cold sore treatments, but today, we’re only looking at one of them. We’ve picked this one because it has six active ingredients, not one or two, that remove cold sores at home. That’s why we thought it would be interesting to review. Orajel Moisturelock will remind cold sore sufferers of the various creams and ointments they’ve had before. It’s not designed to be a groundbreaking treatment; it’s just supposed to do what it does – and well. It’s also designed to work in just one treatment, hence the words ‘Orajel single dose’ on the packet. Orajel Moisturelock is an all-in-one cold sore treatment that claims to target 6 symptoms. These are the pain, itching, redness, scabbing, cracking and dryness – quite the list. Along with this, the cream also apparently reduces the size and obvious appearance of the cold sore. Of course, you may prefer to cover up a cold sore with an invisible Compeed patch. The medication itself is a cream with a greenish tint, which comes in a tube. It is designed to be applied no more than 3 to 4 times per day. You apply by rubbing it onto the affected area until it becomes fully absorbed. The easy way of telling when this happens is that the product’s green tint should disappear. Orajel is different to Abreva because it doesn’t just have one active ingredient, it actually has six. These ingredients are Allantoin, Benxocain, Camphor, Demethicone, Menthol and White petrolatum, which have a variety of beneficial effects. There are three different reasons why each of these ingredients is included in Orajel’s cold sore treatment. Allantoin, Dimethicone, and White petrolatum are all skin protectants and make up over 65% of the Orajel product. This is excellent news for anybody who experiences rashes and irritation when they use products like these. Most other manufacturers simply sell unadulterated treatments for cold sores, which can lead to side effects. Of the remaining ingredients, Benzocaine is a topical anesthetic whereas camphor and menthol are topical analgesics. Analgesics and anesthetics are both used for pain relief, which is the intended effect of Orajel’s products. These ingredients, combined, work to soften the spots and scabs caused by herpes simplex virus cold sores. What Do the Consumer Reviews Say? Orajel’s website hosts reviews for all of their best cold sore treatment products, this one among them. Each of them has hundreds, even thousands of reviews from happy and unhappy customers alike. It’s a great resource to learn about what Orajel can do, besides the product description. The vast majority of reviews are positive, just like the reviews for Abreva. In particular, many reviews report immediate relief from pain and itching. A significant number also mention the product’s ability to reduce the cold sore’s appearance, even after one application. Some do remark that the pain relief effect wears off quickly; in general, though, there are very few negative reviews. Many of the positive reviews specify that the customer received the product for free as an incentive. This may indicate that some of the reviews are not genuine opinions. 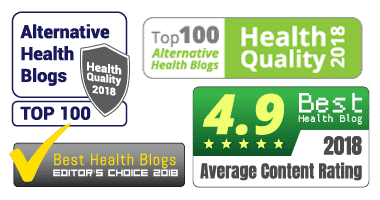 Abreva’s reviews, too, were littered with people who begin their reviews by saying: ‘I received this product for free so that I could give an honest review.’ It would be nice to believe so, but it’s not necessarily very convincing! Even so, a large number of reviews on Orajel’s website is particularly convincing. What’s Our Final Verdict on Orajel? One of the biggest plus points are the Orajel cold sore 6 active ingredients, five more than Abreva. Whereas Abreva is designed as a marketing tool specifically for Docosanol, Orajel is a more general treatment. We like that they’ve thought about protecting the skin, and soothing the pain with both anesthetics and analgesics. Orajel’s Moisturelock Cold Sore Treatment’s six active ingredients supposedly treat six symptoms of cold sores. 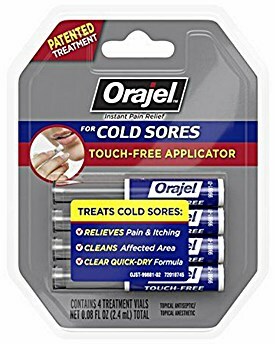 We like that Orajel isn’t just thinking about the cold sore, but the effects that the cold sore (and most cold sore medications) have. The treatment also minimizes the cold sore’s appearance, which is always a plus. In the case of Orajel cold sore treatment vs. Abreva, you should remember that they do different things. Orajel only treats the symptoms; it is not targeting the virus itself. So while it may help with pain and dryness, the cold sore itself won’t necessarily heal any quicker. We think that Orajel deserves the same rating as we gave to Abreva. They both work, the only difference between them is what exactly they do. Check the Latest Price of Orajel Moisturelock on Amazon! So, we can finally stop to ask: should you buy Orajel or Abreva for cold sores? The two products each have their advantages and disadvantages, as they’re designed to do different things. So really, when you’re deciding which one is better, it depends on what’s most important to you. Abreva uses Docosanol to target the underlying virus which causes the cold sore and help it to heal quicker. This gives it an advantage over Orajel Moisturelock because if applied early, it can speed up healing time. Orajel can’t boast this effect because it only targets the symptoms and not the cause. On the other hand, Oraljel Moisturelock seems to work well at treating the symptoms that make having a cold sore unpleasant. It moisturizes the skin, reducing the risk of cracking, scabbing and dryness. It also contains analgesics and anesthetics, which means it relieves pain and itching, which Abreva does not. Therefore, there isn’t a clear winner, but your choice depends on your own personal preference. If you want to experience instant relief from cold sore symptoms, then go with Orajel. However, if you’d rather your cold sore goes away quicker than with other medications, try Abreva. Of course, there’s nothing wrong with having both in your cold-sore-fighting arsenal! People often find it necessary to have both Orajel and Abreva, and use both to fight cold sores. It doesn’t always have to be ‘Abreva vs. Orajel’! In fairness to both Abreva and Orajel, they’re top-rated products, and really do clear up cold sores fast. They’re each equally effective, and we can’t choose between the two. But now we’ve looked at both Abreva and Orajel, we can consider whether there’s anything better than either. After looking extensively at the reviews and product descriptions available online, we’ve come to our conclusion. And it might surprise you to find out that we do think there are some better products out there. Specifically, we like the Virulite Cold Sore Device, Lysine and HERP-B-GONE as alternative cold sore products. We think that each of these products do things that Abreva and Orajel can’t quite manage. We like them because they’re ‘outside the box’- they aren’t traditional ointments like other treatments. 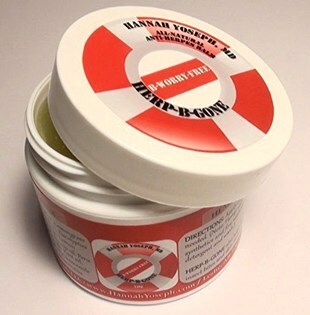 HERP-B-GONE is a high strength, natural pharmaceutical product, whereas Virulite’s Cold Sore device is… Well, you’ll see. L-Lysine isn’t just a gel or treatment, it’s a preventative medicine, which can ‘potentially’ stop outbreaks before they start. It isn’t branded and can be bought from any pharmacist and many online shops. It’s an active ingredient in some gels, too, which shows that it genuinely works. We firmly believe that each of these products, and especially Virulite, are the best on the market right now. They’re also both surprisingly cost effective, which you wouldn’t necessarily think of premium products. We recommend both of them over either Abreva or Orajel – so let’s take a look at them both. HERP-B-GONE is an entirely natural product, made of absolutely nothing but the finest ingredients (so they say). This ticks our boxes straight away, because of the awful reactions that some people experience with chemical ointments. There’s no danger of that with HERP-B-GONE, as it’s impossible for it to cause any side effects! Propolis LE, also known as ‘bee glue,’ is similar to royal jelly in that it’s produced in very small quantities. Not to put too fine a point on it, it’s full of healthy goodness. One of the best things about HERP-B-GONE is that it comes with a quality and satisfaction guarantee. If you’re unhappy with the results of using HERP-B-GONE, you can ask for a ‘no questions asked’ refund. That isn’t the case with either Abreva or Orajel, unfortunately, so HERP-B-GONE stands out for that reason. Check the Latest Price of HERP-B-GONE on Amazon! We love that the Virulite Cold Sore machine works completely different to a cream. In fact, it doesn’t even have to touch your cold sore to stop the pain and inflammation. If you’re asking ‘How on earth does it do that?’, then you’re not alone – but it’s true, and it works. Virulite isn’t based on new technology per se, but it’s a new application of technology that works wonders. Essentially, Virulite is a light treatment that shines a particular wavelength of light on your cold sore. This stimulates your body’s natural defenses to get to work and start removing the cold sore. If that’s already piquing your interest, well there’s more good news for you. Virulite heals cold sores in half the time that creams like acyclovir manage, which is no small feat. That’s not just anecdotal evidence; it’s based on a study conducted at a hospital in North East London. There’s also a healthy dose of anecdotal evidence too, as Virulite has been reviewed hundreds of times. The reviews are fun to read, mainly because customers seem impressed that Virulite works without coming into contact with your skin or lips. Some people call it a ‘little miracle machine,’ and others say that it’s their favorite over-the-counter cold sore treatment to buy. Virulite costs more as an initial purchase than do any creams or ointments on the market today. But there’s a good reason for that: all you need are batteries to use it again and again. So if you get cold sores fairly regularly, then Virulite will save you money in the long run. 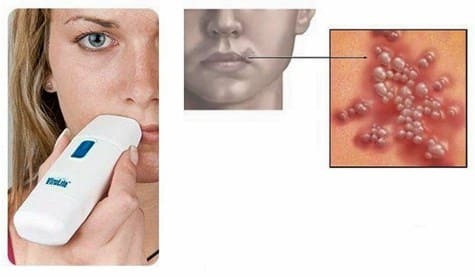 How Does Virulite’s Cold Sore Machine Work? The way that Virulite works is a little bit unclear. It uses what the company called ‘patented light technology’ to treat cold sores – you’re shining a handheld torch at your lip. It’s all based on the effort of one doctor, whose work produced the Virulite. That doctor, working at the hospital mentioned earlier, asked his patients if they wanted to be part of a revolutionary study in cold sore management. Those who stuck with the cream, applying it five times a day, recovered as normal. Those who used Virulite experienced less pain and had their sores healed far quicker. The problem is that the question of what the Virulite does to remove cold sores is puzzling. According to the Virulite website, the specific wavelength of light used – which is apparently around 1072nm – boosts the body’s natural immune response. As for why the light would do that, we aren’t sure. But it actually works, Virulite’s Cold Sore device is getting rave reviews. As we said, it doesn’t even have to come into contact with your skin or lip to work. It uses natural light so that getting rid of cold sores is possible even at the blister stage. The Virulite has been sold in Europe for over a decade and is an exceptionally popular product. It was also offered by the NHS until quite recently. That’s why we’re recommending it, even over other popular OTC products on the market, like Abreva and Orajel. Check the Latest Price of the Virulite Device on Amazon! L-Lysine is an amino acid, meaning that it’s the building block for different kinds of protein. Protein isn’t just something you get from meat; your body produces hundreds of kinds of protein, all from amino acids like these. They’re essential to the healthy functioning of the human body, and not just for preventing cold sores. So, it is an essential amino acid, but it’s one of the few that isn’t actually produced by the body. It has to be obtained, or proteins which contain it obtained, from the diet. The good news is that it is synthesized by both plants and bacteria, from basic aspartate. L-Lysine plays a vital role in maintaining healthy bones and tissue. For instance, it helps the body to absorb calcium through the small intestine, which helps bone strength. But it’s also crucial for building muscle mass and producing both antibodies and hormones. According to bodies like the FDA, we require about a gram of lysine per day to stay healthy. Fortunately, it can be found in a wide variety of common foods like fish, beef, soybeans, and milk. So you shouldn’t have any trouble getting some in your diet, even if you’re a vegan. L-Lysine is also available in supplement form, which is why we’re talking about it here. You can find supplements that give you far more than just the recommended minimum dose. And these are the ones that can help you to keep away cold sores. As we said, you can find supplements online or at a pharmacist which can help you treat cold sores. These L-Lysine supplements are often packaged along with other essential amino acids like Onithine, which is just as good for you. There’s no harm from having more than just Lysine, especially since the amino acids can be used in combination by your body. The method by which Lysine is thought to affect the Herpes simplex 1 virus is this. Herpes simplex requires Arginine – yet another essential and common amino acid – to reproduce. But it’s thought that Lysine might somehow prevent the absorption of Arginine in the gut. It also seems that L-Lysine is used to heal cold sores, since it is included in treatments. A number of the gels and creams contain Lysine as an active ingredient. But whether this is because it demonstrably works in direct contact, or because it might work through ingestion, is unclear. Because Lysine prevents the absorption of Arginine, the Herpes simplex virus is starved of essential nutrients. Without its Arginine, it cannot reproduce, and therefore your breakouts stop before they start. It’s an interesting idea, but unfortunately, it’s not one that has yet been reproduced in a laboratory setting. At the very least, Lysine is a useful amino acid because it does genuinely help the body stay healthy. Without it, all sorts of vital functions start to run down, which is when you’re most vulnerable to a breakout. So for that reason at least, you should consider taking Lysine supplements. Abreva vs Lysine: Which Is Best? Studies into Lysine and the search for a cure for Herpes simplex infection have been ongoing since the 1980s. Before our Information Age, information on what exactly could combat Herpes was thin on the ground. Lysine was one of the first potential active ingredients which researchers looked into, trying to find a cure. It had some early promise, which is why it seems to have become a fairly widespread cold sore treatment. But since then, the jury has been out on whether or not Lysine actually does what we think it does. Even so, there are plenty of reviews out there from people who are thoroughly convinced that it works. Among those who take Lysine on a daily basis, they generally seem sure that it prevents outbreaks. Because it can be incorporated into your routine, it means it’s easy to take, as well as effective. Aside from the positive reviews, there are a few negative ones too, although not so many. Like many supplements of this kind, they are from people who simply can’t see the product’s stated effect. Of course, there is plenty of anecdotal evidence that Lysine works to prevent cold sores. But it’s just that: anecdotal evidence, provided by people who use supplements and treatments at home. While it’s convincing at face value, and definitely worth a try, it may not be a well rounded cold sore solution like Abreva. You’re unsure if you have cold sores. A doctor will take a sample of the fluid from a blister using a viral swab and send it off for analysis and diagnosis. Cold sores appear close to your eyes. If you experience any problems breathing or swallowing. A high or persistent fever. You’re immunocompromised. This would apply if you have AIDS or are getting chemotherapy for cancer. Outbreaks are becoming increasingly frequent. Apply a zinc oxide lip balm or sunscreen (SPF 30+) to block ultraviolet sun rays. Put a scarf over your mouth to protect against freezing temperatures. Never share items. This includes towels, razors, toothbrushes, lipsticks, drinks, and cutlery. Avoiding kissing and oral intimacy when you or someone else has cold sores. Wash your hands regularly, and try to avoid touching your face. Go to bed earlier, so that you feel less tired. Minimize stress by learning relaxation techniques. Don’t eat highly acidic foods, such as citrus fruits. Find out about the different cold sore triggers. We think that no cold sore treatment is complete without a range of products that you can use. Having a fully stocked medicine cabinet and the right know-how will mean that you’ll always know how to get rid of cold sores overnight. No waiting around for deliveries. That’s why we think you don’t have to choose between Orajel or Abreva for cold sores. They both have positive reviews, so they both obviously work to clear up cold sores. We recommend buying both, and seeing which one works best – we all respond differently! Even so, we firmly believe that both HERP-B-GONE and the Virulite cold sore device are the best choices. We’ve already been over why exactly that is above, so there’s no need to go over the details. But both heal cold sores quicker, and more effectively, than Orajel and Abreva. As for Lysine, we believe that it could be a useful addition to your supplements list. But do bear in mind that even though it does seem to be an effective treatment, the research is still not finished. In particular, long-term overuse may result in kidney issues. The good news is that you can safely apply a Lysine lip balm. In particular, though, we would opt for the Virulite Device over any other OTC cold sore product. The reason why is that it offers far quicker treatment of cold sores at a cost-effective price. It costs the same as a couple of tubes of ointment, but it works faster and will last longer. Here are 50 answers to common questions about cold sores.